Another brilliant new comic, and one that I am looking forward to seeing more of. The story is engaging, the art beautiful, the characters very interesting. It's been a while since I read this one *cough*catchinguppost*cough* so I've not got a lot more to say. 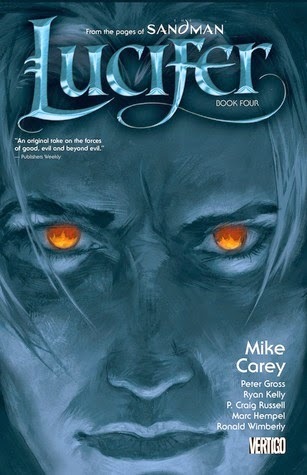 17 - Lucifer, Book 4 - Mike Carey, Peter Gross, et. al. This comic continues to be brilliant, drawing on mythology, especially Judeo-Christian mythology, and spinning a fantastic story with it. Most graphic novel volumes take me an hour to read, tops. There's so much content in these, however, that each one might as well be a short novel. As with the previous, this is a catch up review, as it's not as fresh in my mind it's consequently brief. 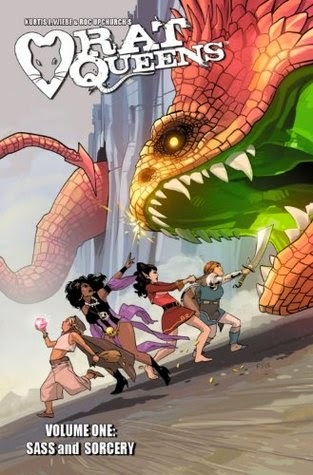 Centring around an all-female group of Dungeons-and-Dragons style adventurers this hilarious action-filled story has a great deal of potential and I cannot wait to see where it goes next. I'm particularly keen to learn more of Violet's story, though it looks like the next character to get the spotlight will be Dee - not that I'm complaining. An atheist cleric whose family worships an evil god has got to have one heck of a back story. 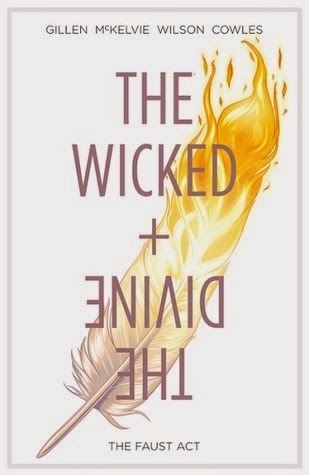 Not for those who like their stories squeaky clean and their characters well behaved, but if you're not looking for those things then give this a try, it's got an improbably high concentration of fun within its pages. I enjoyed this book over some weeks with cups of tea. It's a beautifully made coffee table style book and divided up into ideas based on how long is needed. The majority of stories are very, very brief and don't really give much by way of how, just inspiration really. There's still a bit of me that now has the urge to walk/cycle a ridiculous distance. Perhaps I could walk across Ireland... or cycle around the country here. Hmm. I picked this up at my local library in the 'blind date with a book' promotion, and am glad I did. I doubt I would have picked this up otherwise, as a perceived high chance of a dominant romantic theme generally puts e off. Instead of what I expected, I was fascinated with a story of the social and economic implications of the arrival of department stores and the prosperity, ruin and upheaval they brought. The romantic plot was there, and unsurprisingly I didn't care for it at all, but it wasn't as big an element as expected. 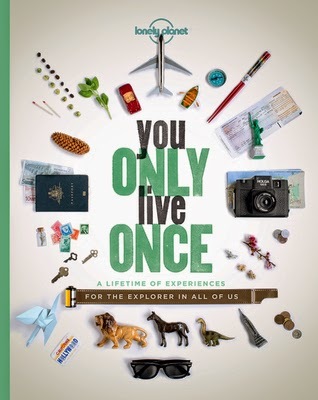 I would heartily recommend this book.